In autumn 2018, Norway will be the host country for NATOs largest military exercise, known as Trident Juncture. But some people in Norway doesnt like that; The Communists in Norway. They will hold a Anti-NATO demonstration to take place in Trondheim on October 20th. A few days ago there were many posters in Trondheim with this headline; NATO NOT WELCOME! But 40,000 troops are now in Norway from 30 nations, with 140 combat aircraft, 70 ships and 10 000 military vehicles. What they want is to train for war in central Norway. According to the Communists in Norway, the exercise costs Norway more than 2 billion NOK and will create pollution for people and the natural environment. The Communist Party of Norway and the Communist Youth of Norway organize a large demonstration and public meeting against the NATO military exercise on 20th of October 2018 at 13:00 pm in Tordenskjoldsparken in Trondheim. People have often told me not to buy any American stocks, so I think I know what people I have around me. This is people with a Marxist-Leninist perspective. The same group of people can be seen in Turkey, Poland, Venezuela and Hungary to name a few. On their website they have this note; In the European Union the rate of unemployment in women was 10,6% in 2012 and 10,1% in 2014 (Eurostat), while the total number of women living within the limits of poverty reaches 65 million! They also had this note; In the capitalist world especially in western Europe the labour achievements came as a result of constant and bloody class struggles. The existence of the Soviet Union and the example of the socialist construction forced a significant number of western bourgeois governments to grant some social and labour rights to their people. However, after the counter-revolution in the USSR and eastern Europe, these social and labour rights were ferociously attacked. Today (in 2016), we live the capitalist barbarity of mass unemployment, underemployment, reduced salaries, mass lay-offs, zero-contract labour relations, child capital`s profitability; from the U.S of the 47 million people who live on the edge of poverty to the European Union of the 25 million unemployment people! My note: This number is from 2016 and have changed. 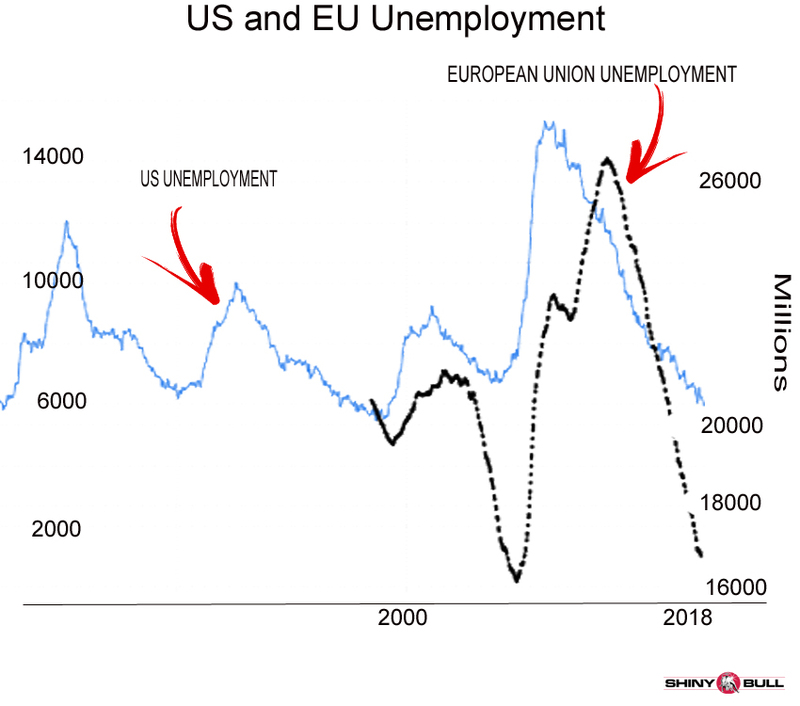 Unemployed people in the EU is now 17 million while it is 6 million in the U.S. Furthermore, they say; the public healthcare system that was established in the Soviet Union consists a significant example of socialist construction. In Soviet Russia there was a broad state network of healthcare, based on the centrally planned socialist economy, which provided free services of medical care for the whole population. In capitalist Russia of Mr Putin, life expectancy rate declined. In 2004 it was at 63 years of age. Furthermore, in capitalist Russia of oligarchs and monopoly groups, healthcare isn`t free and public anymore; numerous state hospitals and clinics closed while large private hospitals were created, the work «accidents» were increased (6,000 deaths every year) and the Russian working people have to pay for the services in the existing public hospitals, the Norwegian Communists say on their website. In any sector of the social and economic life, Socialism proved its superiority over Capitalism. And when we talk about «superiority» we refer on how the Socialist system managed to satisfy peoples needs by eliminating the exploitation of man by man. Capitalism, with it`s anarhist nature in production and the deification of profit, has nothing more to offer to humanity except from poverty, misery, unemployment, inequalities and wars. The Soviet Union and the socialist states of the 20th century, despite their existed problems, proved that a better world is possible. Despite the temporary historical setback of the 1989-1991 counter-revolution, nothing has finished. The end of history didn`t come, Mr. Fukuyama and dear apologists of Capitalism. My note: Why do communists always talk about non-profit organisations like health-care systems and educational systems? You can also add the police force and fire department. They are all non-profit organisations. But they do not create something. It`s just a little part of the society and just a cost. Capitalism and profit organisations are something different. A mix of Capitalism and Socialism and Communism can be a better way. In other words; a mix of non-profit and profit organisations. Its not a question about Capitalism or Communism. Its both. A mix. You dont buy stocks in a hospital or a police force. Its a non-profit organisation. But you buy stocks in Apple so they can grow and voila; you have a revolutionary product called; iPhone. That`s wealth for you. It made the world a better place. It made your life more easy. Socialism and Communism are both old words. They belong to the old school and doesn`t sound good at all. Why not change the words? Why not call it “Crowdfunding?” A much better word. The Communists in Norway will hold a public meeting with the theme «How do we fight imperialism?» and the meeting will take place in Trondheim at 18:00 pm. After the meeting there will be a social gathering.